S&S Concrete Floors strives for innovative methods to create the highest quality concrete solutions. 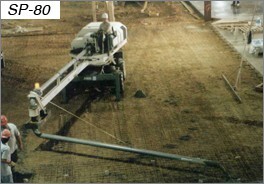 Internal engineers developed ground-breaking technology in a Somero S-240 Laser Screed and a Somero Screed & Topping Spreader. 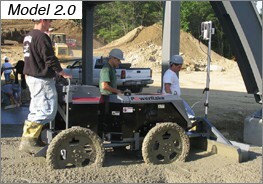 The equipment rental program at S&S Concrete Floors offers everything to place and finish a concrete floor. 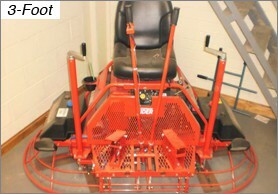 This includes equipment and equipment with operators. 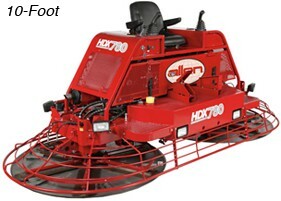 Contact us today for availability of our rental equipment. • Weight (Nominal): 15,100 lbs. • Screed Area Per Pass: 240 sq. ft.
• Engine: 4 Cyl, 4 Stroke, diesel 199 cu. in. • Rides directly onto wet concrete - no form work! • Weight (Nominal): 895 lbs. 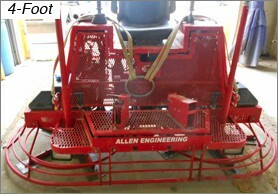 • Plow Elevation Control: Laser Control/Head Lift Cyl.